Rapunzel is a fairy tale that embeds all the key themes and characters of its genre: a girl held captive in a secret place in the forest, a bunch of helpful forest animals and a very evil witch. 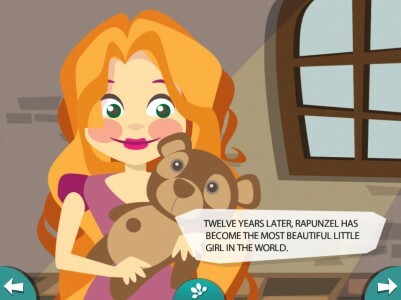 In Rapunzel, characters and actions are brought to life, allowing interaction and learning. Kids will compose tunes and then listen to them. They will play with Rapunzel’s hair, shifting her hairstyle from blonde long locks to a Princess Leia’s look, or maybe adding plaits and ribbons, thus transforming her into a true Tyrollean. 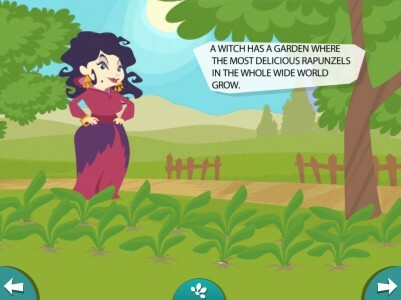 With this contemporary take on a classic fairy tale, Jekolab is once again mixing tradition and innovation, thus creating another fun and educational interactive story. 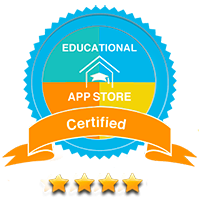 In short, Turutu can’t get enough of telling classic stories, shaped with a contemporary edge and told to kids thanks to a very well-designed technology. Fairy tales have been picked for a very simple reason: through wonder, they satisfy the deepest interior desires of kids and adults alike. The neverending need to know the world, life, and ourselves.